The iFilters IF-CB8 Amway Carbon Block Water Filter is a 0.5 sub-microns filter and provides 1250 gallons (or 1 year) of cleaner, safer, healthier, tastier Drinking water. Made with NSF listed coconut shell carbon. This CB8 Amway compatible filters has a 3/8 inch threaded port. 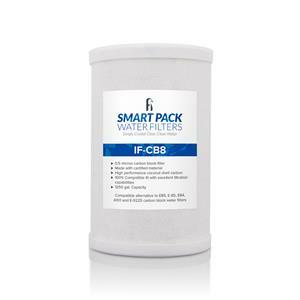 The IF-CB8 is fully compatible to the Amway E-84, E-85, A101 and E-9225 OEM Carbon Block water filters and is made with NSF Approved Materials. 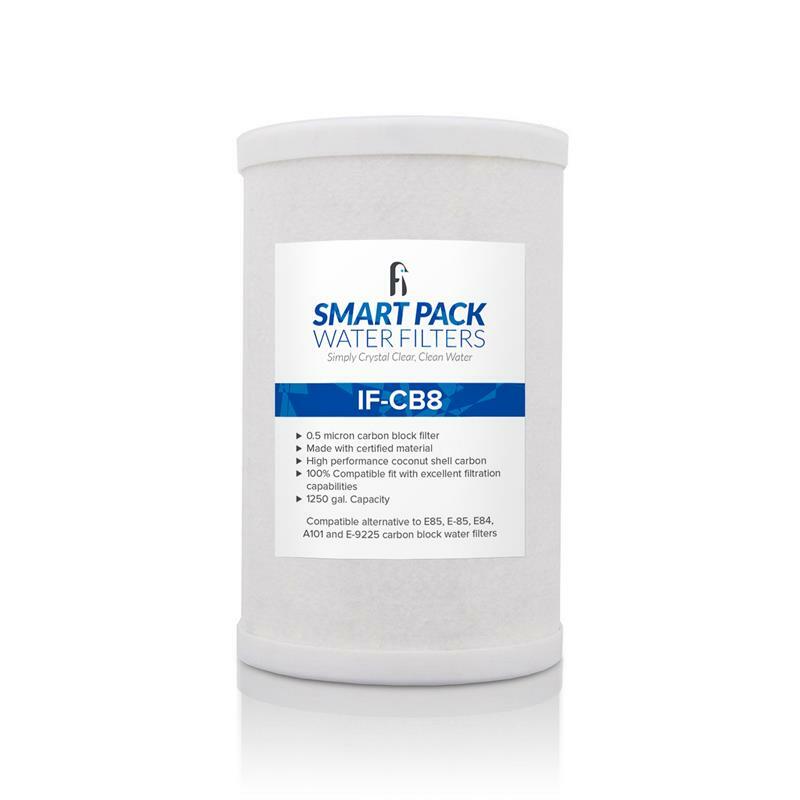 The IF-CB8 Amway compatible filter cartridge filters and reduces dirt, sand, silt, sediment, rust, Chlorine taste & order, Cysts, lead, parasites (cryptosporidium & giardia), cloudiness (turbidity), THMs (trihalomethanes), VOCs (volatile organic chemicals), asbestos, and more.